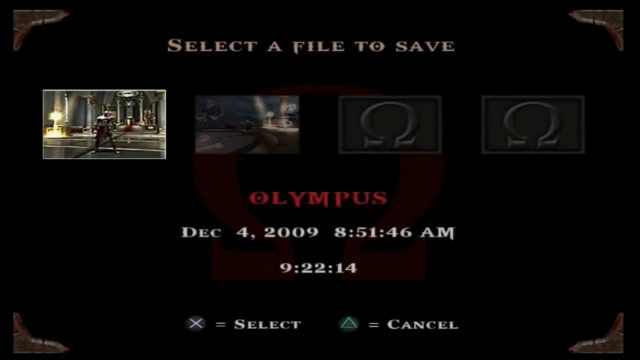 While playing the PS3 re-release of God of War 1, I think I may have accidentally switched my game to easy mode after dying too many times. Online forums claim you can view the difficulty level while saving the game, but this doesn't seem to be an option in the HD remake. Is there a way to check my current difficulty level in the PS3 version of God of War 1? I have the PS4 remake and found it difficult to find as well. I found it on PS4 on the safe menu. Select the save and you could got start for options. In that menu there is an information menu. Click on it and if ps3 is similar it may be there. Not the answer you're looking for? Browse other questions tagged ps3 god-of-war or ask your own question. How does InFamous determine the difficulty level at the end of the first section? How to check internet speed on PS3? How can I force my PS3 to check for game updates? How do I level up guns?